This time of year I have to spend some extra time nourishing my skin. I make a few changes in my normal routine. I tend to have dehydrated, sensitive skin during the cold winter months, and my deep cleansing wash is a bit too drying for me. I switch to Caudalie's Gentle Cleanser for a few months, and I am back to having lovely, well nourished skin. I also use Caudalie's Body Lotion. I keep a mini tube in my purse for those times when I am out of the house. SO convenient! Caudalie is an Eco-friendly skin care line. They were one of the first skin care companies to remove parabens from their products. Caudalie uses healing compounds from grapes to fortify and nurture your skin. Comment on this post. Include your email address so I can contact the winner! Follow Lotus Flower Herbals on twitter. Comment on this post that you did so. Tweet the following message: Enter to win FREE skincare gifts at http://lotusflowerherbals.com then comment on this post that you did so. 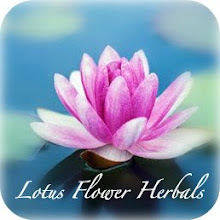 Become a fan of Lotus Flower Herbals on facebook, then comment here that you did so. Post about this giveaway on your own blog, then comment on this post that you did so. EACH ONE COUNTS AS AN ENTRY. FIVE ENTRIES PER PERSON MAX. I will use Random.org to choose the winner on December 2nd, 2009. The winner will be notified by email, and has 3 days in which to claim their prize, or I will draw a new winner on December 6th, 2009. I could totally use this! I love the cooler weather for cozy sweater and scarfs and boots but my skin hates it completly! My hands look like they belong to my grandmother and start to crack and bleed. It's especially painful during my youngest's diaper changes because of the soap they use in the wipes. I'm curious to see if this works for me too. I just found your blog tonight and it is awesome! I would love to win this gift for my skin. I'm off to sign up as a fan on facebook. I just became a fan on facebook...I'm awaiting my first order of teething oil! Can't wait to see how it works for my little guy!!!! I'm a fan on facebook (alessandra lalla vercelli). Random.org came up with #4!